Skye Cecilia a designer from Sutton, Ontario frequently shares renovating, decorating and home styling tips on her blog and on Instagram. 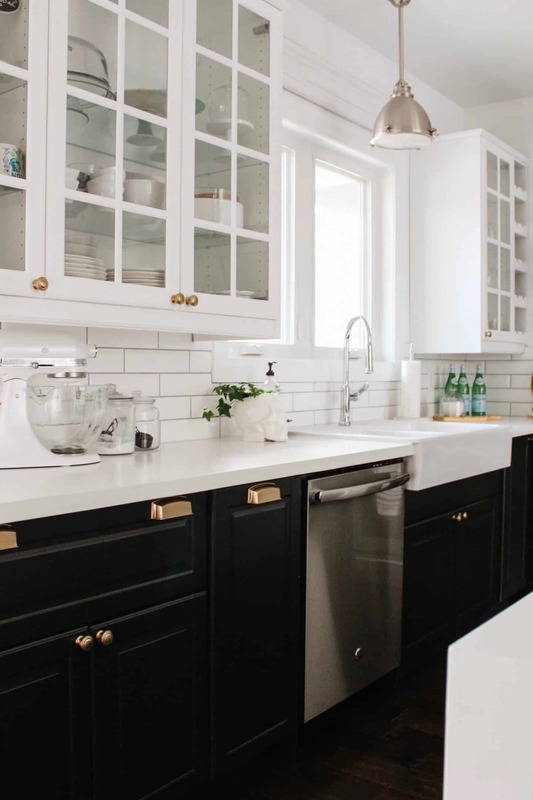 Recently, she and her husband did a kitchen refresh using Schuab and Company hardware. The Menlo Park collection in satin brass really pops against the black and white cape cod design. What do you think? 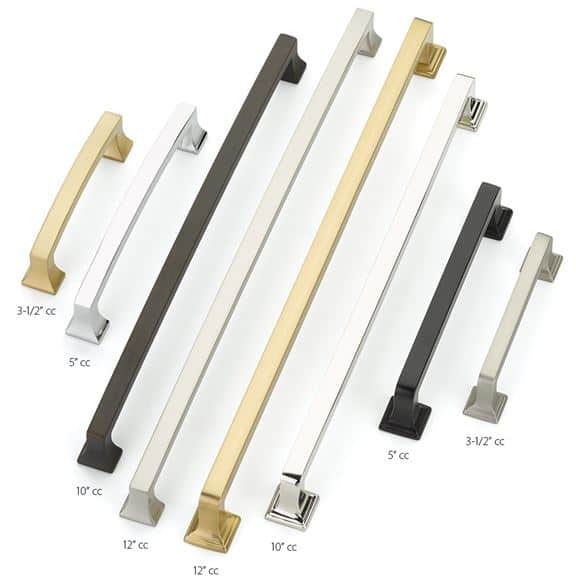 Schaub & Company’s Menlo Park collection has 7 finish options. For full details on the Menlo Park collection reach out to Excel Marketing. Excel Marketing represents high-end fixtures to dealers, interior designers, builders, and homeowners.